Our new intergenerational summer program, Summer Suppers, started Wednesday and it was a blast. Thank you to all the families that came and made the first evening of Summer Suppers such a success. 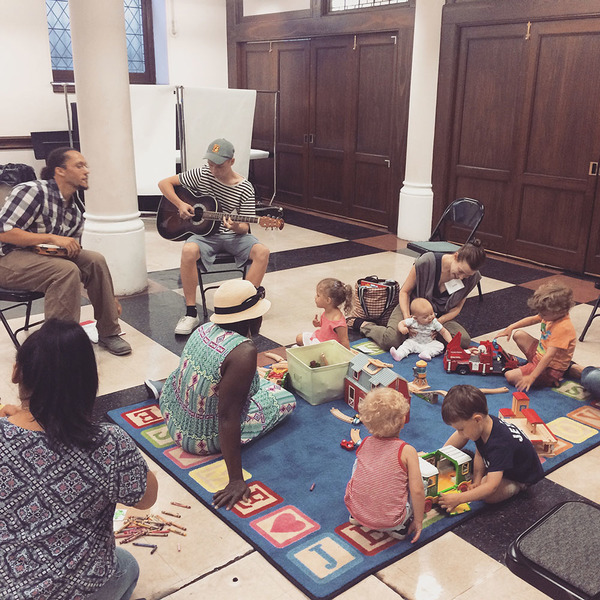 If you missed it, we invite you get in on Toddler Time, a delicious sandwich bar and salad bar, intergenerational and bilingual worship, and Bible Study groups for both kids and parents--every Wednesday evening for the next five weeks! Register now and join us for the rest of Summer Suppers! Also, "Rally Day," our annual Sunday School kick-off party, is set for Sunday, September 18. We're going to have a big celebration from 10-11am, jam-packed with songs, games, and activities your family will not want to miss--mark your calendars! p.s. We recently sent Confirmation families a really cool video of our Confirmation students sharing their faith statements on Confirmation Sunday. We thought you all might enjoy seeing it too.